As 2017 ends, we remember that this year saw the 150th Anniversary of Dr. John Martin Littlejohn’s birth and the 70th Anniversary of his death. 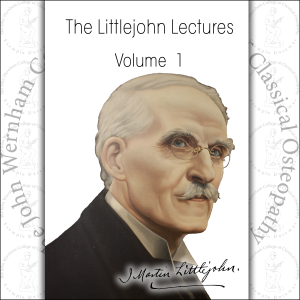 Featured today is The Littlejohn Lectures Volume I. John Wernham introduces the publication writing “The lectures are reproduced as they were given between 1930 and 1934, a period which may be most properly regarded as the apotheosis of a life devoted to learning, to research and to the development of osteopathic philosophy and practice. In these lecture-notes we have bequeathed to us a coverage of osteopathic investigation into the problems of health and disease that is profound, erudite and unique in content and presentation.” The Littlejohn Lectures Volume I is the first of a series each constituting a contribution to writings on Classical Osteopathy. 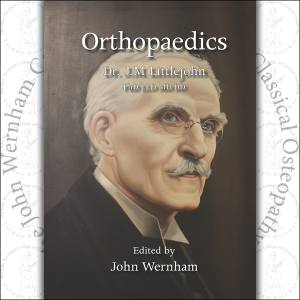 John Wernham’s book entitled Classical Osteopathy is the core textbook for students of Classical Osteopathy. 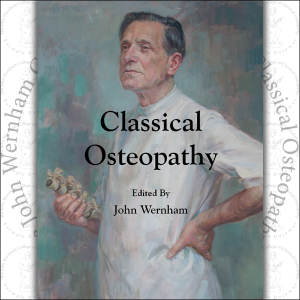 John Wernham was famously remembered for commenting whilst lecturing at the age of 99 that he was “still a student of Classical Osteopathy”. In a lecture to Osteopaths T. E. Hall discusses The Knee Joint: “We, you and I, know that while we are called upon to deal with many hundreds of cases of knee disablement, discomfort and pain, only a very small percentage of them can be classified as a definite displaced meniscus. The Life and Times of John Martin Littlejohn is the first and definitive biography of Dr. John Martin Littlejohn, published in 1999, and is a true account by the one man who knew him, lived next door to him, travelled with him, studied under him and spent his lifetime practising, teaching and publishing what Littlejohn taught him — John Wernham. 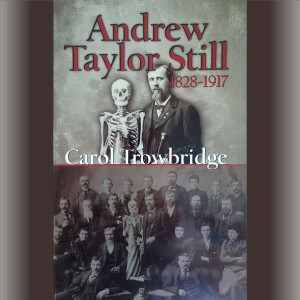 Andrew Taylor Still 1828 – 1917 edited by Carol Trowbridge is available in both English and Spanish. Carol Trowbridge writes “No one has published a detailed biography of Andrew Taylor Still. His autobiography contains a general outline of his life and others have recorded intimate recollections of his behaviour and character, but there are many gaps. Indeed, Still himself – although seeming eccentric and egotistical – dwelled more upon the actual philosophy rather than its origins or his personal travails”. 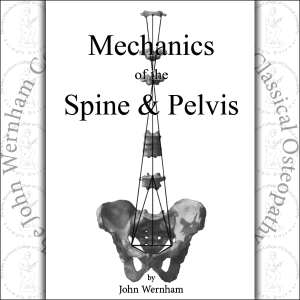 John Wernham writes in the Preface of the Mechanics of the Spine and Pelvis: “The human body is not a machine; it is a living, and highly sensitive organism. None-the-less, it is subject to the laws of gravity and if the mechanical aspect of our physiological life does not receive its proper and due acknowledgement, and if adequate clinical procedures are not adopted, then the ultimate breakdown in the body unity will become inevitable”. 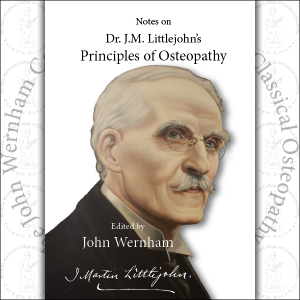 The Notes on the Principles of Osteopathy have been extracted from the major work on this subject by J.M. Littlejohn. Widely read in physiology he based his teaching in Osteopathy on physiological law and, from his earliest association with the new science, laid down the basic principles upon which the technique and practice were constructed.